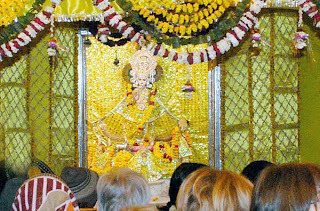 In 2013, Vasant Panchami was celebrated on two days i.e. on 14th Feb and 15th Feb. While many schools and colleges chose 14th Feb for Saraswati Puja, most temples in Mathura arranged special Darshan on 15th Feb. In Mathura, Vasant Panchami marks the arrival of Holi festivity. 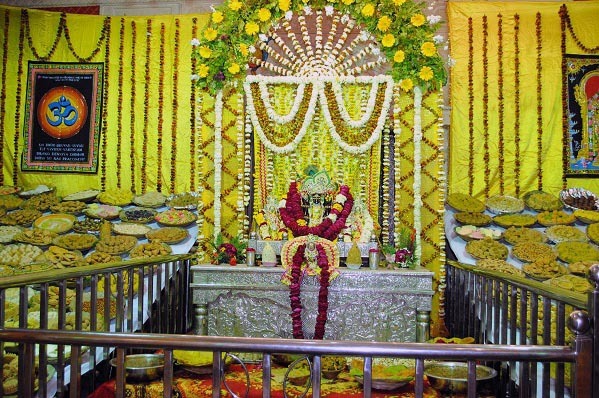 Most famous temples of Lord Krishna start preparing for Holi festivity from the day of Vasant Panchami. 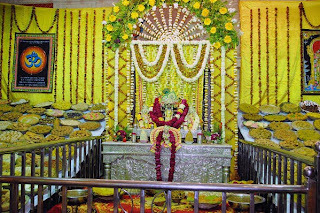 While new Keshava Dev Mandir at Janmabhoomi arranged special Darshan of Lord Krishna in Vasanti color, the old Keshava Dev Mandir near Janmabhoomi arranged Chhappan Bhog Darshan. Vasant Panchami is also spelled as Basant Panchami.